Today's post is a modified version of a post I originally published on Touchpoint Dashboard's blog on March 19, 2015. In a post from earlier this month, I wrote about the most-basic and most-important rule of customer journey mapping: maps must be created from the customer viewpoint. This is a must; otherwise we perpetuate inside-out thinking that is anything but customer-centric. In today's post, I'm going to spend some time focusing on #2, validating your maps with customers. Why do we need to validate maps? Assuming you've started the exercise by building assumptive maps, you have yet to bring the customer into the process. Recall, an assumptive map is created by internal stakeholders, without customer input; it’s a map based on what stakeholders assume to be the steps customers go through to complete some task. It is, however, a common starting point for mapping. Validating with customers is the critical next step; after all, that's the whole point of mapping, to walk in your customers' shoes. How do we validate with customers? I would recommend doing 3-5 sessions, ensuring that you get a good representation across your personas in each session; if you find that you're hearing common themes/steps across the first 2-3 sessions, then you've probably done enough. Each session should have 8-12 people, again, representing your various personas. Allow 4 hours for each session. You'll likely need to incentivize, just like a focus group. You might also prefer to do some 1:1 interviews to validate. There are benefits to both approaches. 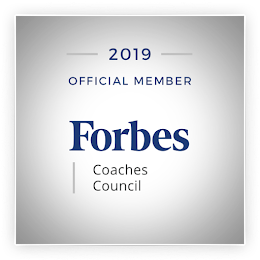 In the 1:1 interviews, you can get an individual/unbiased perspective, while in a group setting, participants will likely bounce ideas and steps off each other, perhaps reminding others of what they may have forgotten about the process. I'm not as big a fan of taking a more quantitative approach to validating the maps, as the logistics are a bit challenging, but I suppose you could do that in the form of a survey. 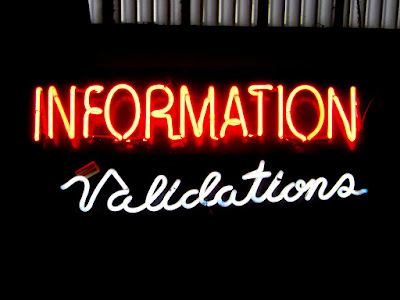 Can the validation sessions be done online or offline? You can do them either way. With a tool like Touchpoint Dashboard or some other digital journey mapping tool, the virtual/online sessions become a no-brainer, though you can use these digital tools for in-person sessions, as well. With whom do we validate? Maps should definitely be validated with current customers. If you have the ability to (or if they are willing), potential and lost customers should also be included in the exercise. Make sure you've got your key personas represented, as different customers have different needs/goals/outcomes and difference experiences. How do customers validate the maps? Obviously, the first step is to explain the exercise to them. After that, outline the scenario that you're mapping and validating. You've likely got an assumptive map in hand, so there are two approaches that you can take to validation. The approach you take may be driven by time constraints. Show the assumptive map and let them review it and react to it, e.g., you missed a step, etc. Or you might want to do both, starting with a clean slate and then identifying the gaps between the two. What do they need to validate? Customers should tell you the steps they take to achieve the task; the people, tools, and processes they used or interacted with; what they were thinking (needs) and feeling (emotions) at each step; and the effort each step took, so you can identify painpoints and highlights. Once they've shared all of that with you, you'll want to capture what the ideal experience would/should be. What did they expect the process to be? Where do opportunities exist to enhance the experience? What did they like about the experience/steps to complete that task? Don't make any promises at this point, but take it all in so that you can formulate a future state as a next step. Just know that you can't move on to designing the future state without (a) understanding the current state, (b) identifying what works well and what doesn't, and (c) capturing expectations about how it should/could work. Nice follow up post, Annette. In your experience, do companies sometimes first start with their customers then they collate the info and then re-validate the maps? Thanks, Adrian. In my experience, most companies start with that assumptive map.